We invite you to join us for our Morocco Yoga & Surf Retreat ‘Finding Balance’. Whatever level of surfer you are, days spent playing in the waves, connecting with the ocean and bonding with your co-surfers over take offs and pop ups is a wonderful way to bring out the surfer sparkle in your eyes. 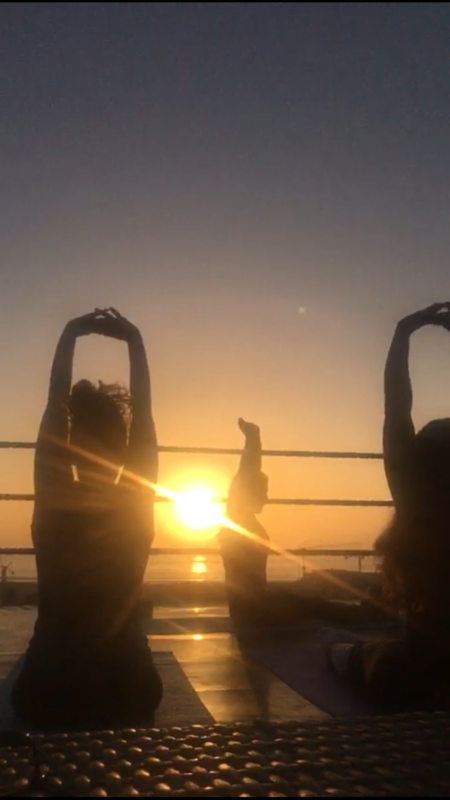 We believe the combination of surfing and yoga is a great way to connect with yourself, others and nature. Both encourage us to slow down and let life flow naturally. 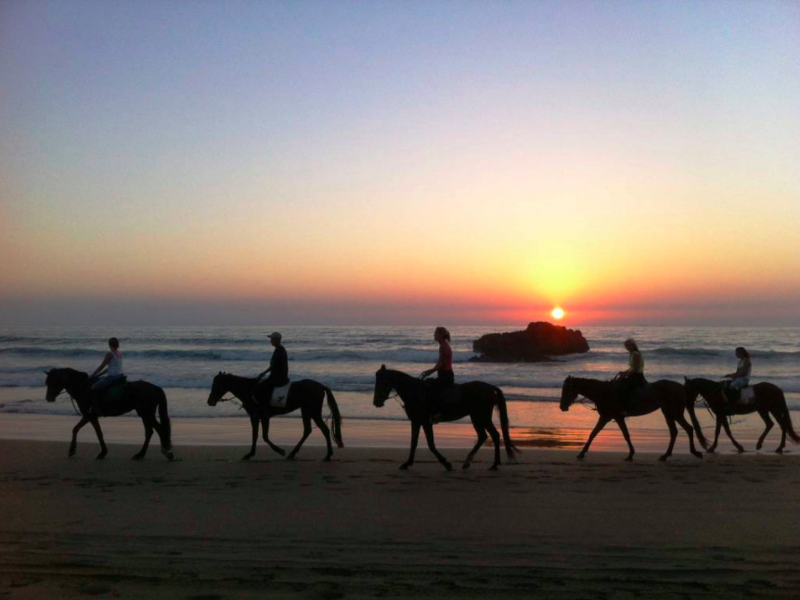 The ocean serves to teach us many lessons, which will be translated to you by our experienced coaches. Listen to their tips, simple words of wisdom that can be transferred from surfing – and yoga mats – into everyday life. 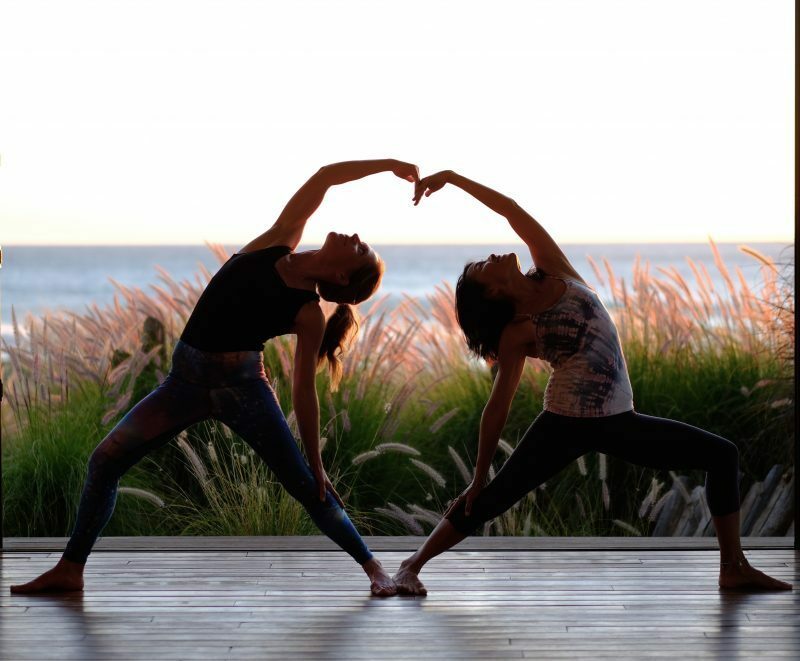 Often highlighting your habits and self-defeating patterns, through the practice of surf and yoga people often comment on how it has helped overcome fears, increased confidence and many other benefits. When you’re focused on surfing, moving through a yoga sequence, you are in the flow, and when you find balance on your board and mat, you will notice a more balanced feeling in other areas of your life too. Join Saira Francis and Sally Kirby for a blissful 5 night Morocco Yoga & Surf Retreat at the beautiful Azul Guesthouse. 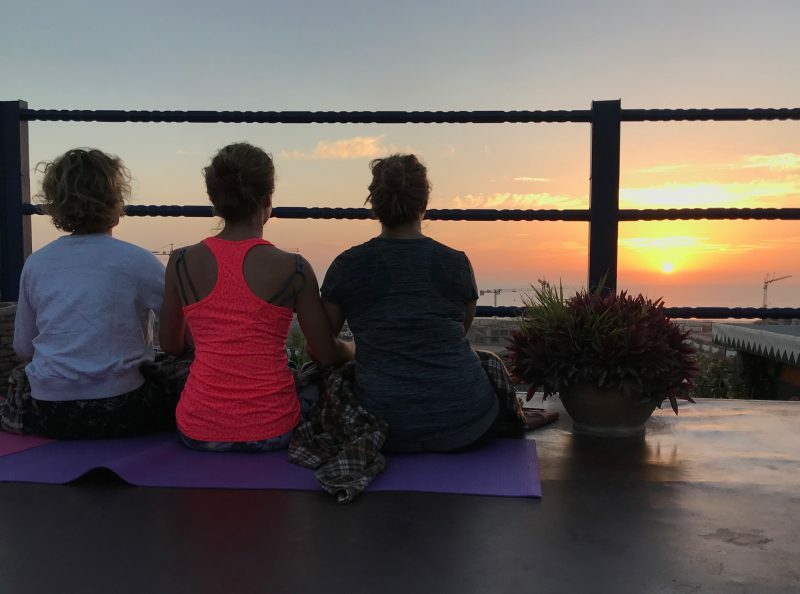 We invite you to share with us as we enjoy offering you the opportunity to retreat in the sunshine. 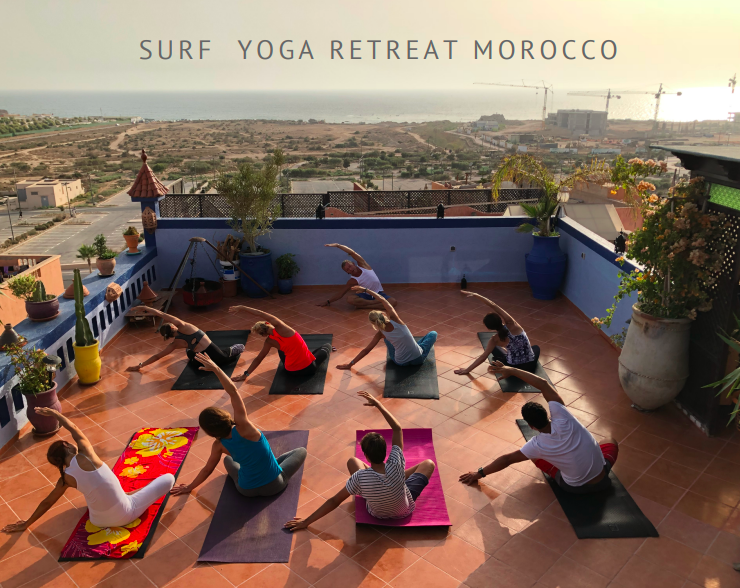 We have wonderful plans to help you relax, have fun, eat well, laugh much and learn some yoga and surf, maybe for the first time! Arrival at Agadir Airport, free transfer to Azul Guesthouse. 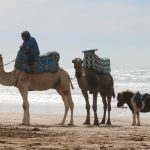 10.00 Depart for coastal drive to Imsouane, a bohemian village which is a mecca for surfers, seeking to ride the longest wave in Morocco in this magical setting. En route we will stop at the ‘Petit Desert’ for sand boarding. This schedule is just a guideline and may change due to weather and waves! 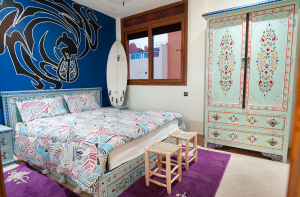 There are a total of 11 bedrooms in the house, separated into 5 spacious 2-bedroom apartments. Each apartment shares a bathroom and salon/seating area. Our largest 2-bed apartment is the Royal Suite, which has a private south facing roof terrace. If you wish to share an apartment with friends please let us know when booking so we can keep you together if we have availability. 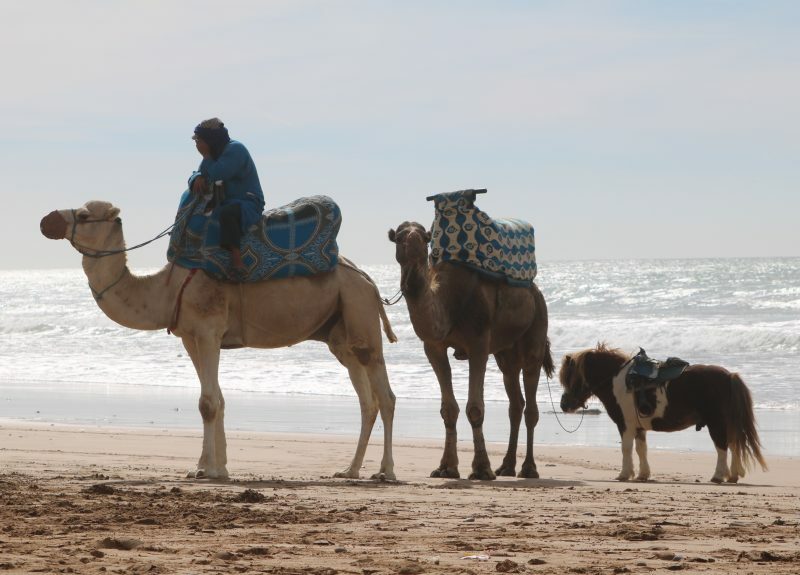 Flights currently available from Gatwick to Agadir with Easyjet for approx £112. Tuesdays, Thursdays and Saturdays. Fly out on Thursday 31st October 7am to arrive in plenty of time to chill before our retreat begins. Return Tuesday 5th November at 1pm. 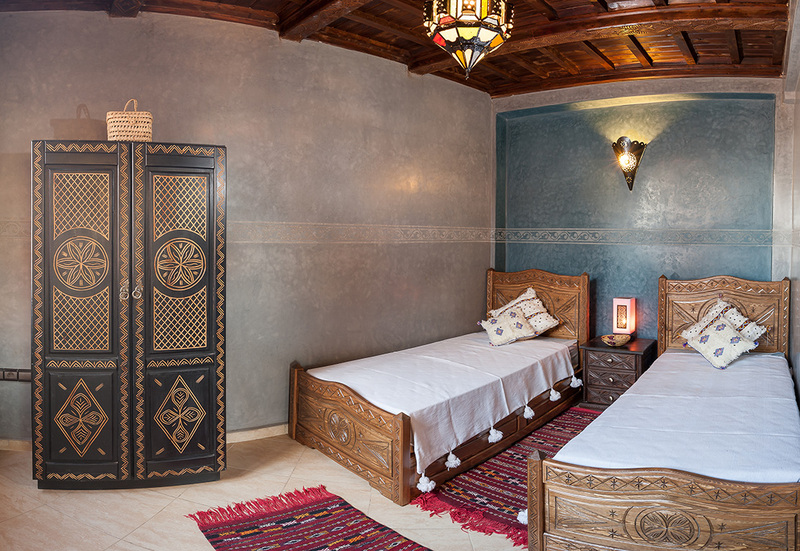 FREE transfers from Agadir airport to Azul Guesthouse. 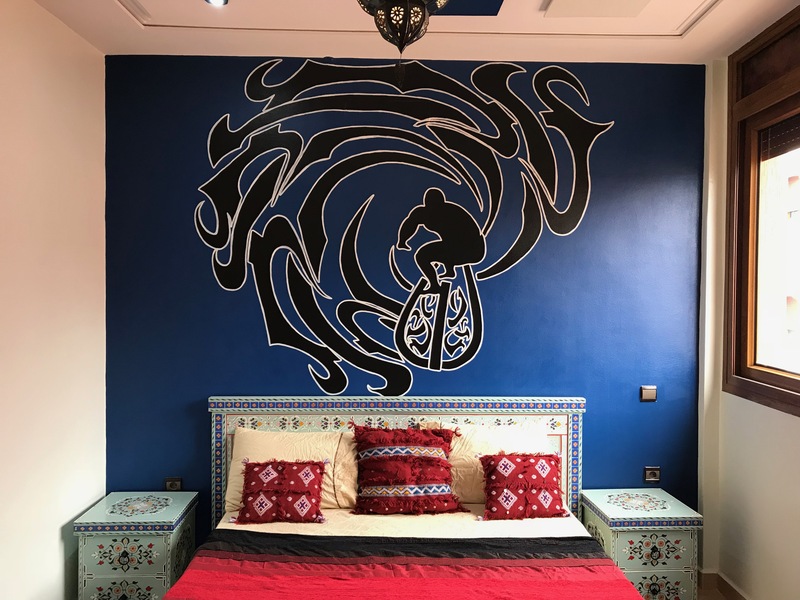 Azul Guesthouse was built by owner, Bohcine Zammor, a fisherman/ carpenter, his hand-carved furnishings showcase traditional Berber woodwork throughout. 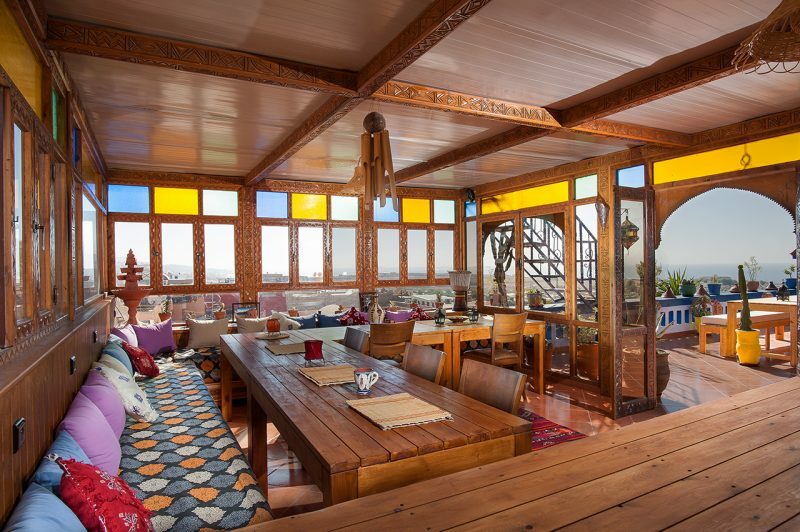 Growing up in a family of seven brothers, the guesthouse is run like a large family home. 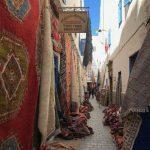 Here you will experience the joy that comes from community living, a focus on family values and generous Berber hospitality. 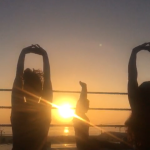 The ocean-facing roof terrace is where we come together for afternoon tea, sunrise and sunset yoga, ping-pong, drumming, music, and meditation under the star-filled African sky. 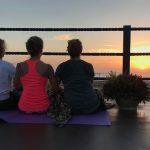 Yoga on the rooftop terrace is heaven! 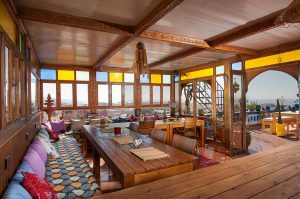 Sally Kirby is in-house yoga teacher at the Azul Guesthouse and Saira Francis has been running Mellulah Yoga Retreats since 2011 in the UK. Saira has a rich experience in teaching Vinyasa Flow Yoga and in sharing meditation. Sally is originally from the UK, having worked in the travel industry for 10 years, organising and trialling holidays all over the world, Sally chose Azul as her spiritual home in 2018. A qualified Yogaworks teacher, her classes range from energising morning flows to gentle restorative sunset sessions. 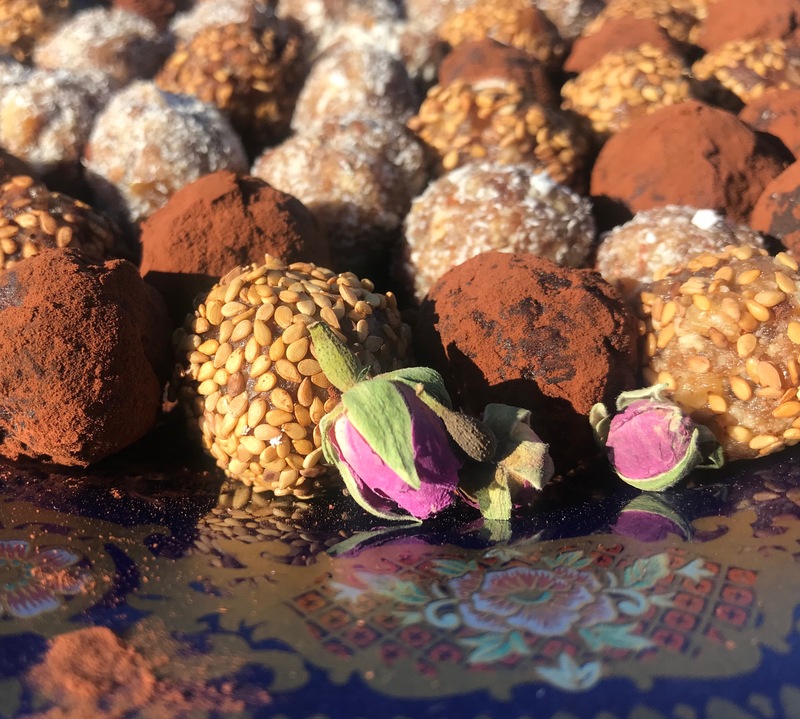 Saira and Sally met in the UK in 2017 when Sally came to one of Saira’s retreats in Dorset, brought together by divine fate the two are delighted to be working together to create this blissful retreat stay for you. Our head surf coach, Hucine Zammor, is the youngest of the family’s seven brothers, he seemingly fell into the ocean before he could walk. Growing up in Tamraght, at the heart of Morocco’s surfing coast, his ‘savoir-vivre’ and enthusiasm for a simple life is contagious. 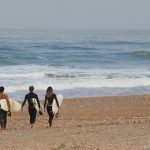 Hucine and his experienced coaching surfing team, will take you and your guests from beginner to intermediate, or for those with prior surfing experience, improver and advanced surf guiding options are also available. 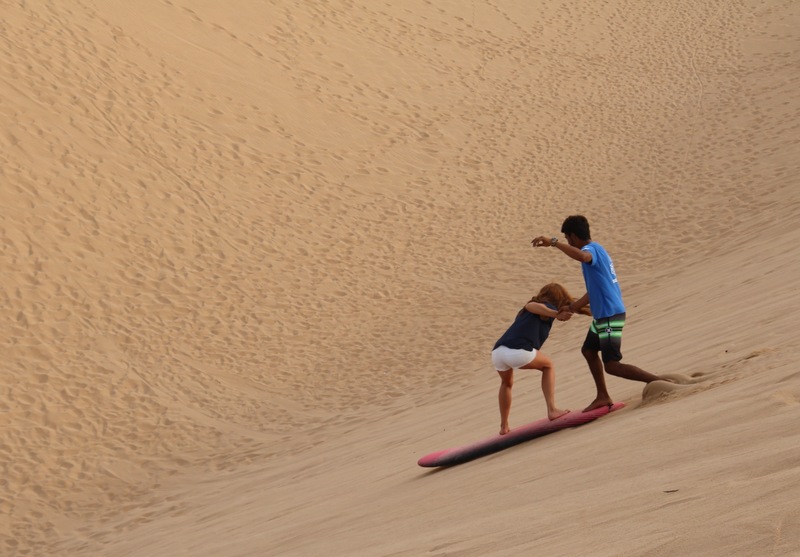 Our retreat surf package includes surf tuition and equipment hire. We have a newly stocked surf shop with an extensive selection of wetsuits, soft and hard boards, as well as surf and yoga related products for sale including ponchos, hoodies, sun cream and yoga clothing. 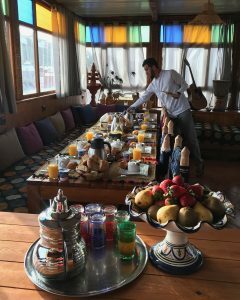 We believe in a healthy, balanced diet, that includes colourful salads, delicious tagines, and…if your retreat permits, Berber pancakes and desserts with your 3 course evening meal! Home-made, nourishing, locally produced, seasonal dishes are inspired by well-loved Moroccan specialities, with an occasional international twist, imparted by visiting chefs. 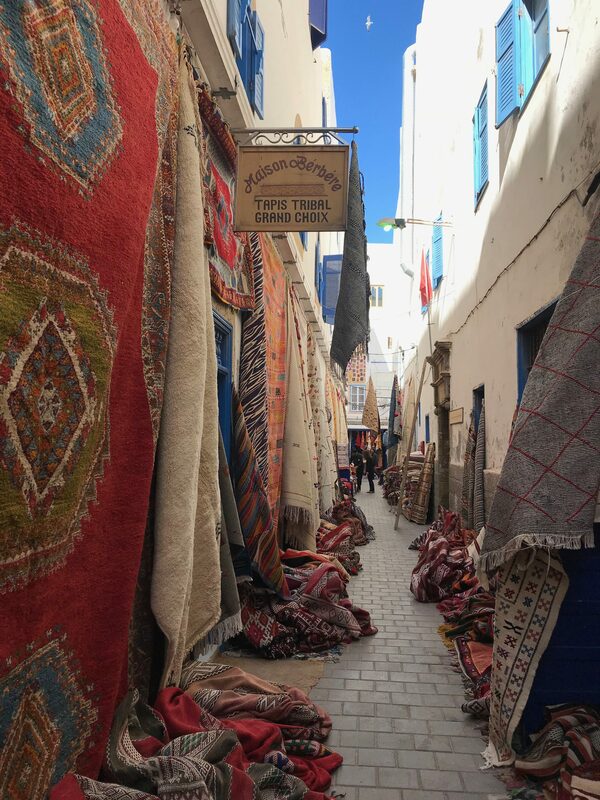 Prepared daily by our chefs, our sample menus can be seen here: Given the families’ fishing history and our location in a fishing village, there’s a focus on freshly caught fish, alongside colourful salads, and delicious tagines. Dietary requirements can be accommodated and we welcome your suggestions and specific retreat menu requests. Aside from board games and beach play, we also like to make space for the joy that comes from creativity and the therapeutic benefits of art. 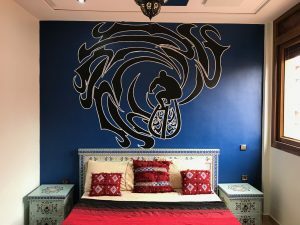 As part of a retreat with us you will have access to a cupboard of art materials for self-play, or we can create tailored workshops to help you and your guests tap into their creative flow. 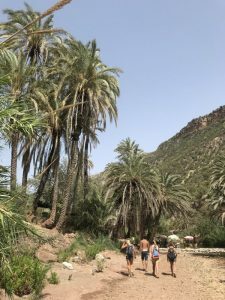 Your host family are born and bred in the village, they love to introduce people to their native Berber land and it’s traditions. 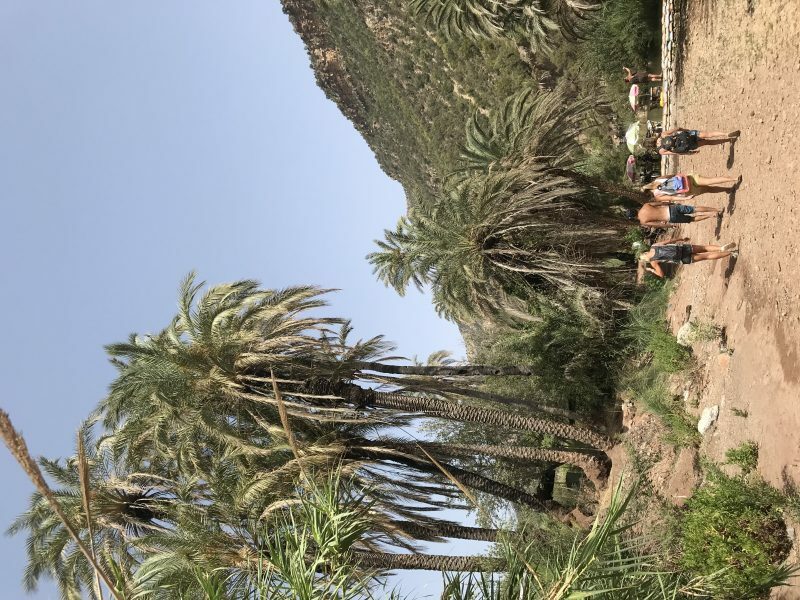 From village walks, grotto BBQs, souk shopping, hiking in Paradise Valley, wild swimming in the oasis’, dune boarding in the desert and other day trips in the area. We can also assist with pre and post retreat trips if you and your guests would like to combine your retreat with a visit to Marrakech, Essaouira, the Sahara Desert, the Atlas Mountains, and other places. Many people come to this area and comment on its transformative energy and the sparkle in the locals’ eyes. 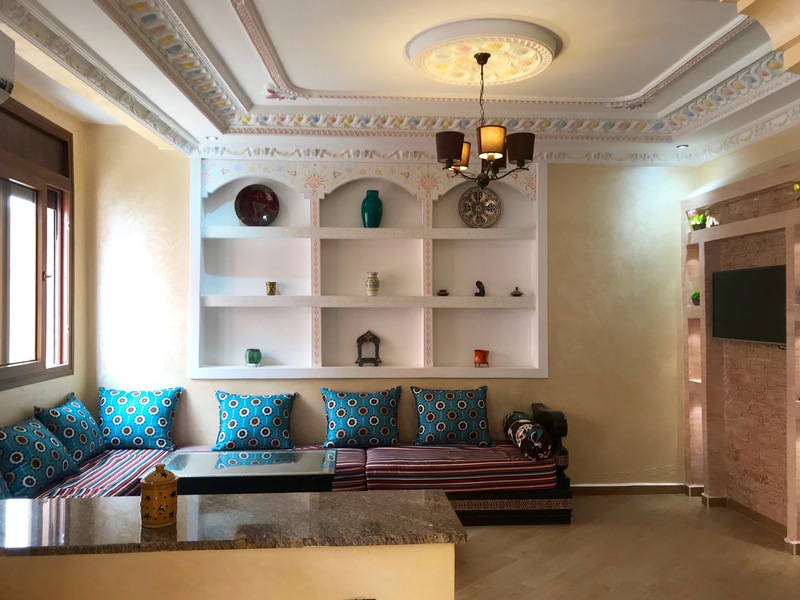 As part of your retreat we suggest you include a visit to our local spa for a relaxing massage and a traditional hammam, we can prebook a slot for your group. 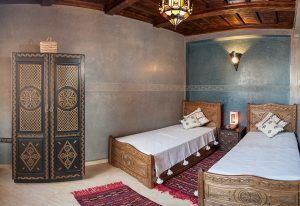 The hammam can accommodate 5 people at once, and the massage salon up to 6 people at once. The hammam experience combines invigorating scrubbing, cleansing clay masks and nourishing oils, all whilst relaxing in a beautiful mosaic tiled chamber. Back at the house we also offer reiki, Thai Massage and other energy work. A spa morning and massage is included in the price of your retreat stay.